BioWare has shown off the new Mass Effect game at San Diego Comic-Con, revealing new details and images from the next game in this sci-fi franchise. Explaining that the upcoming game will not be named Mass Effect 4, the panel mostly reiterated what was announced back at E3. However we did see uncovered the return of the Mako land vehicle from the first game in the series. Also BioWare stated at E3 that the new game will be feature a human protagonist, not the hero of previous games in the franchise Commander Shepard, but another Systems Alliance soldier who has "something to do with N7". We also hear that this is a new story within the Mass Effect universe but we don't know when in the timeline this story takes place. A video by Escapist Mag's Andrea Rene shows off concept art from the upcoming Mass Effect, including in-game male and female armour designs along with a sneak peak of the enhanced version of the Mako. However, the development team stressed that the game is still in its early stages. The design could completely change for the final version, as the game is still "years" away from launch. "We're playing around with a bunch of different physics for the Mako. The thing that we have to do is make sure it is as responsive as possible," said Producer Mike Gamble, reassuring those who may be concerned about the handling of the Mako, reports The Escapist. "We've learned a thing or two over the years," added Gamble. 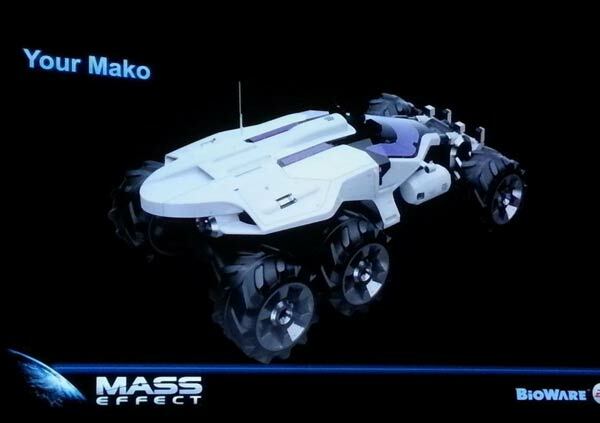 The Mako is said to be customisable, and as there will be a lot of emphasis on exploration in the new Mass Effect, it means that players will be utilising it extensively. "If you're going to be spending a lot of time in vehicles in places, they should reflect you as a player," Gamble opined. I winder how it'll turn out? I , on the other hand, found it absolutely useless. A jetpack or a landspeeder would have been faster. All being said, I am delighted another Mass Effect game is coming. The Mass Effect series was superb! I've seen this headline in so many places, and I really don't understand the love for it. It was a bog standard transport vessel in the game, was absolutely nothing stand out, was a functional vehicle. I think the issue was more what they replaced it with. The universe felt much bigger when you were driving across huge empty craters in the Mako than when you fired probes from orbit. Mako and Hammerhead, both were great! !